eed to be concurrently engineered to make the product family strategy viable. 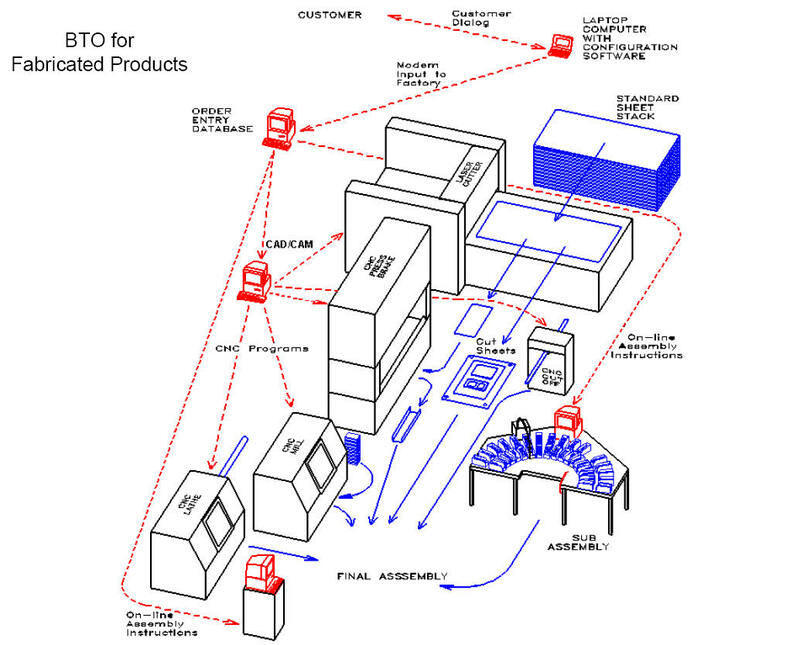 Postponement is a mass customization technique that is applicable for certain products that can have their variety postponed until just before shipping. The factory builds basic “vanilla” platforms and quickly adds “flavors” upon receipt of order. Postponement is most suitable for product architecture that has a major platform part can be built without variation and then customized by various adjustments, configurations, or bolt-on or plug-in modules. Mass Customization is the ability to quickly and efficiently build-to-order customized products. It uses all the techniques presented so far for the build-to-order of standard products and extends that to custom products. These products can be customized for individual customers or niche markets, such as versions optimized for certain market segments, industries, regions, or countries. There is a natural synergy between product families built to-order and mass customization. They share the same flexible operations and spontaneous supply chain. Adding mass customization to a product family strategy can push the combined volume over the threshold that may be necessary to justify these implementations. Thus, mass-customized product families would be more like to be approved and succeed.